Product prices and availability are accurate as of 2019-04-20 10:26:11 EDT and are subject to change. Any price and availability information displayed on http://www.amazon.com/ at the time of purchase will apply to the purchase of this product. Sedum Cottage looks wonderful in the warm autumnal sunshine. The garden is ablaze with vibrant colours, thanks to the Virginia Creeper, Nerine, Dahlia, Japanese Anemone and , of course, the Sedum. This just reminds us that gardens can look amazing in any season … you just need to know what to plant. The plentiful colour and masses of detail will ensure many happy hours of puzzling, regardless of the season. 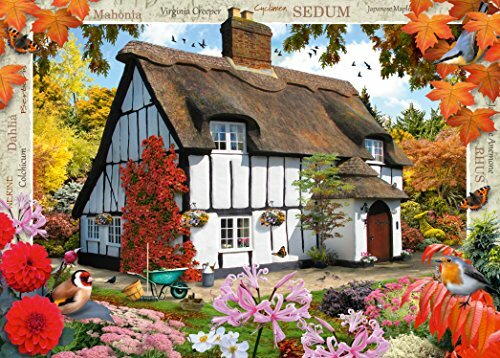 This is the tenth in a series of puzzles depicting idyllic cottages and gardens. Puzzle includes an A4 colour leaflet showing further puzzle image for reference, information about the image and artist's biography. 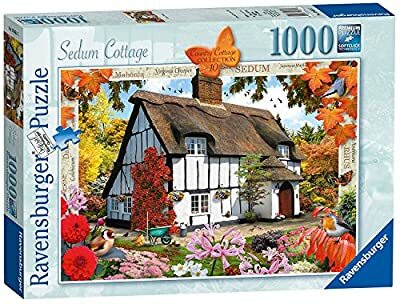 Number 10 in the "Country Cottage" collection of puzzles. High quality 1000 piece cardboard jigsaw puzzle. The finished puzzle measures 70 x 50cm when complete. Suitable for ages 12 years and up. Made from strong premium grade cardboard, with linen finish print to minimise glare on puzzle image. 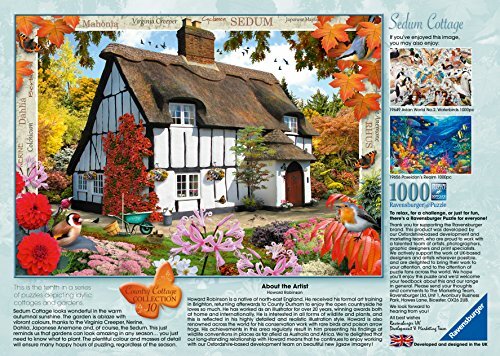 Number 10 in the popular Country Cottage Collection by Ravens burger High quality 1000 piece cardboard jigsaw puzzle The finished puzzle measures 70 x 50cm when complete. Suitable for ages 12 years and up. Made from strong premium grade cardboard, with linen finish print to minimise glare on puzzle image.